Bald And Free Day Honors Those Of Us With A Beautiful, Shiny Top. You Don't' Have To Be Bald To Celebrate This Day. But, It Helps. 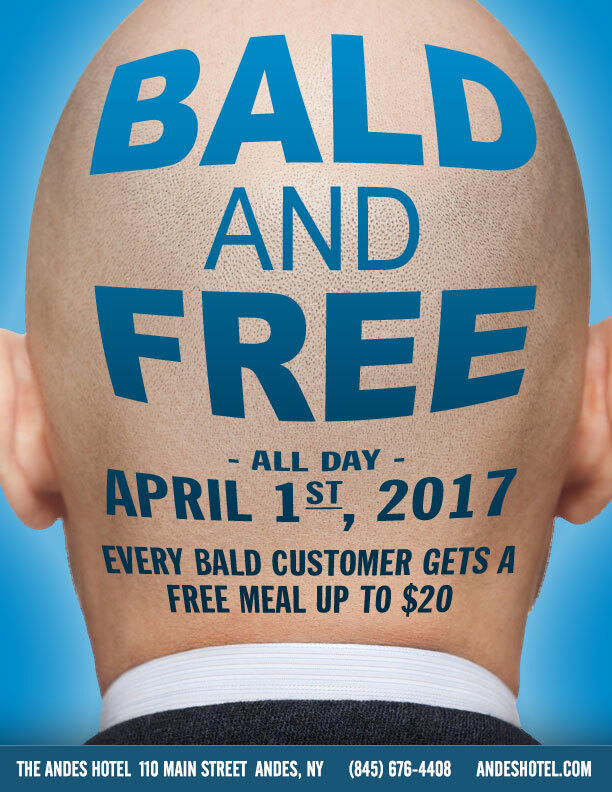 People Who Are Married To, Related To A Bald Headed Person Or Friends With Can Celebrate With The Honoree.Every Bald Customer Gets A Free Meal Up To $20.